It's come to the point where I'm getting excited about any opportunity to see more of the characters of the delightfully silly Borderlands franchise. 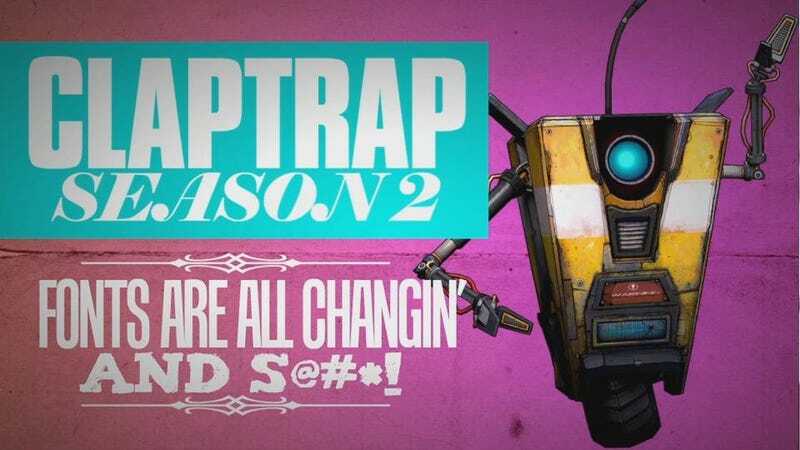 And apparently Gearbox is heeding my call, because they're bringing back the Claptrap webseries, which, if you're like me and haven't even watched season one yet, you can watch all of right here. Gearbox says that the first episode of season two will premiere on their Facebook page early next week.